March 29, 2019 – – Fort Saskatchewan, Alberta based Telus/Cambridge Electronics Incorporated recently announced that the new Apple iPad Air 10.5″ will be available for purchase on their Channel Web Store starting April 1st. Dan LHeureux, from Telus/Cambridge Electronics Incorporated, states that they already anticipate a huge volume of orders as they launch the iPad Air 10.5” on their Channel Web Store come April 1st. He explains that the new iPad Air is available to all Business and Corporate customers who activate or renew a Telus rate plan, and to customers under EPP, 2-year BBan, 3-year BBan, and CBAN plans. “To be eligible for Telus Easy Payment, you must have an existing Telus Mobility Postpaid phone plan with shareable data and subscribe to the $10 Tablet Share with 1GB shareable data plan as a secondary subscriber on a 2-year term,” he says. He also points out that only one data option is required per account, but the data can be shared with up to 4 additional mobile devices, including tablets. Moreover, to have the ability to share data, he explains that another subscriber on the account must be a Primary Subscriber with either a Telus Mobility Postpaid phone plan with shareable data or a Mobility Postpaid phone plan with a data add-on. LHeureux also says that taxes and pay-per-use charges, including additional data roaming, are extras and that data used while roaming in the US is charged at $5/MB. He also encourages customers to visit Telus’ website to learn more about data roaming outside Canada and the US. “You may refer to Dealer subsidy grids for full pricing information,” advises LHeureux. Meanwhile, according to Phil Schiller, Apple’s Senior Vice President of Worldwide Marketing, the iPad continues to provide magical new experiences for a growing range of uses where it is their primary device. These include playing games in augmented reality, note-taking or drawing with the Apple Pencil, streaming movies, editing films, and learning app development with Swift Playgrounds, thanks to Apple’s A12 Bionic chip. He also states that the new iPad Air 10.5” joins the most advanced iPad Pro models, offering the best, most innovative iPad lineup ever. 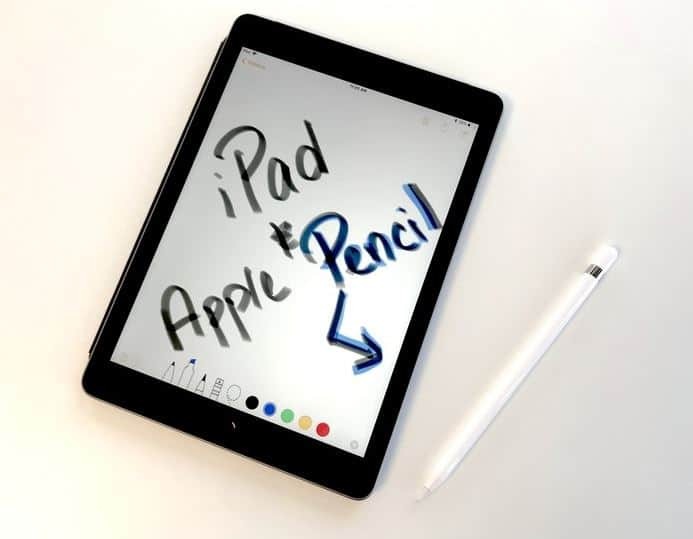 He points out that the latest generation of iPads now include Apple Pencil support, best-in-class performance, advanced displays, and all-day battery life. Furthermore, he explains that Apple brings the high-end size features and performance of the new iPad Air at a breakthrough price. The new iPad Air 10.5” features Apple’s A12 Bionic chip with Neural Engine which transforms how users experience photos, gaming, and augmented reality. Apple states that the A12 Bionic Chip also makes the new iPad Air faster than most tablets, personal computers, and laptops in the market. Meanwhile, the 7MP FaceTime HD front camera and 8MP back camera on iPad Air let you take stunning photos and 1080p HD videos or create new worlds by using the camera for AR experiences. The new iPad Air’s immersive 10.5‑inch Retina display with True Tone also lets users enjoy their photos, videos, and games in vivid and true-to life-details.Furthermore, Apple says that the device has 10 hours of battery life, so users can go all day on a single charge. More information can be gained by contacting Dan LHeureux of Telus/Cambridge Electronics Incorporated, or by visiting their website. Interested parties may also connect with them through their official Facebook page to learn more about their latest news and product offerings.